Are you trying to find a Chrysler dealership in Atlanta, GA? 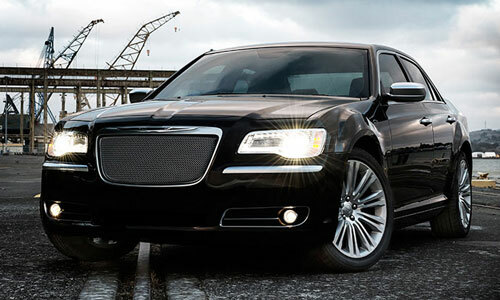 Ed Voyles Chrysler dealers are in the Atlanta area and have plenty of new Chrysler models in stock now. Visit our new Chrysler showroom and test drive new Chrylser 300 sedans and Pacifica minivans for sale or lease. Our helpful staff can explain all of the current Chrysler dealer specials and factory incentives so you are sure to get the very best deal. If you are shopping for a quality Used Car our used car, Used SUV and Pre-Owned Truck inventory has plenty of models from a variety of manufacturers including many certified pre-owned Chrysler models. The Ed Voyles Chrysler Finance & Lease department is available to help you buy or lease a new Chrysler, certified Chrysler or finance a used car. Atlanta area Chrysler owners can also take advantage of our complete Auto Service, repair and Chrysler Parts center, conveniently located on the premises. Be sure to ask about our frequent Chrysler service specials and coupons to help you save money on oil changes, tune-ups, brake repair, wheel alignment and much more. Stop by our Chrysler dealership, Atlanta area for new Chrysler sales, leasing, specials, used car deals, Chrysler service, repair or parts. We will take excellent care of you and your Chrysler.